The Kagu (or Cagou) is a highly unusual, almost flightless bird, which due to its startling ash-white plumage is known locally as the ‘ghost of the forest’. 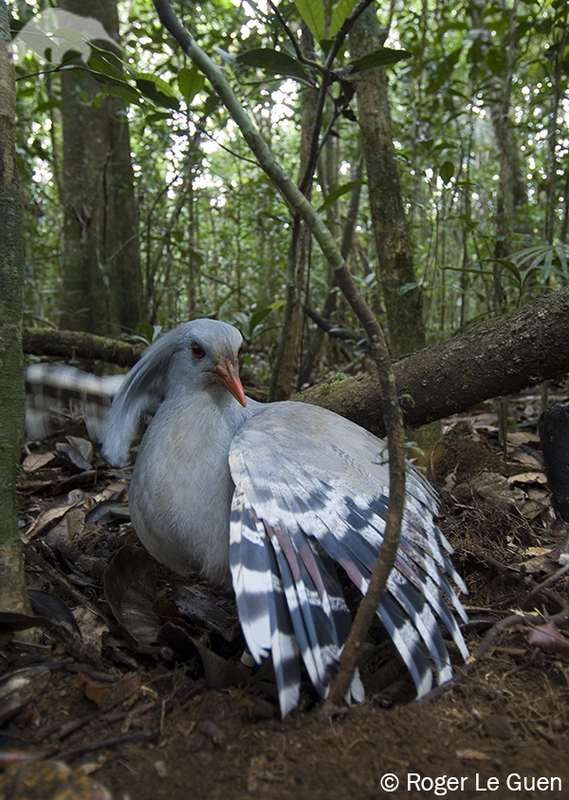 The only representative of an entire taxonomic family, the Kagu resembles something between a small heron and a rail. It has a large crest, long legs, a peculiar ‘bark’, which can be heard over a mile away. It is endemic to Grand Terre, the largest island of New Caledonia (Eastward from Australia) and has been adopted as the national emblem similarly to Kiwi, the national emblem of the New Zealand. Sadly, following predation by dogs and habitat loss the Kagu is now listed as Endangered. The Kagu experienced a decline in numbers during the 1900s primarily due to predation by invasive species. Domestic dogs have historically been the main threat to the species along with cats and pigs. How can a hike/bike navigation app help to preserve it? With its ability to create and navigate to points, record tracks and navigate along them. This is Sophie (our user Philippe Brun’s niece) who works for the New Caledonia Ornithologic Society. 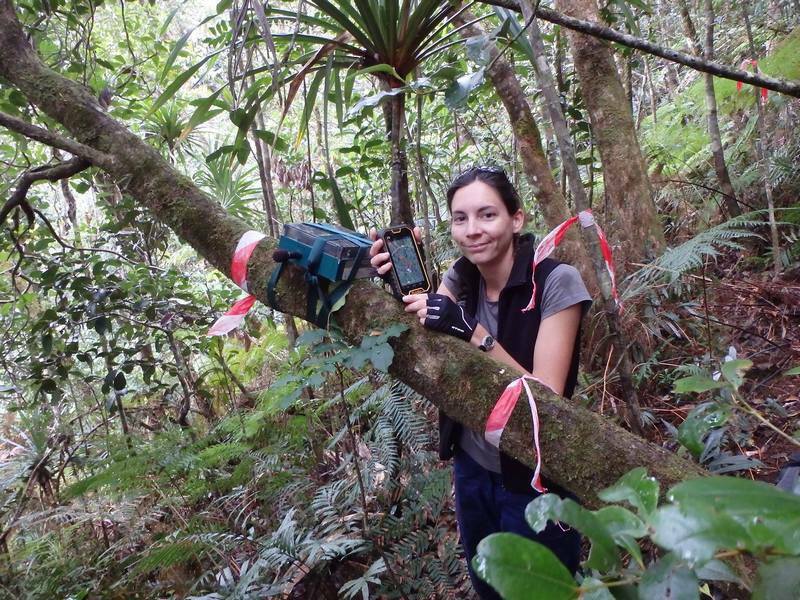 Her mission is to walk hours through the New Caledonian wild forest, in middle of nowhere, along a grid of waypoints predefined in Locus. On those waypoints she installs special automatic sound recorders (you can see a microphone on the side of the recording blue box) to record the Kagu bird songs. After a week she follows the tracks recorded in Locus and brings back the recorders for analysis. This method helps to evaluate Kagu population numbers, its behavior and much more. We are very happy that our application can be useful not only for your leisure time activities but it can also help with preserving our nature’s treasures.